With winter finally coming to a close the construction season in the Mid-Atlantic region is picking up steam. With this seasonal uptick we at Alpine Rockwheel are getting more and more calls as excavation contractors and engineers recognize the benefit of Rockwheels as an alternative to hydraulic hammers in many rock removal applications. 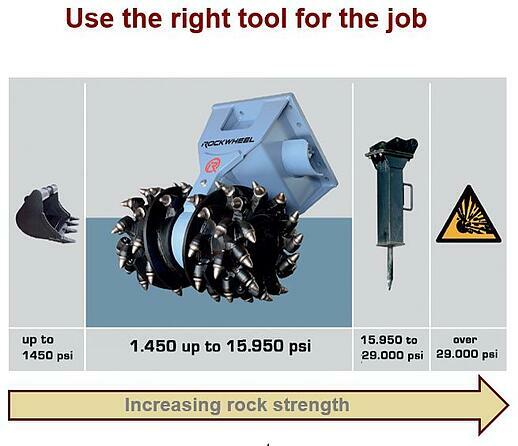 Excavator mounted rock grinding attachments (Rockwheels) have reached a tipping point where it has become clear that something has been missing from the toolbox for economical removal of rock. Case in point is a recent rock trenching job in West Virginia. The contractor had to trench through 3-ft of sandstone underlain by 3 1/2 ft of blue rock (limestone). In addition, they were crossing some existing utilites that could not be disturbed. 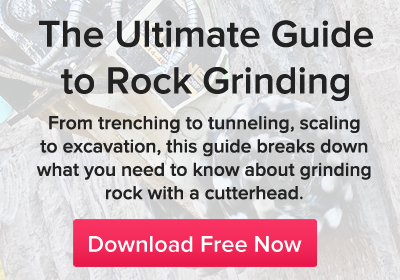 Knowing the limitations of hydraulic hammers in terms of ability to cut smooth trench walls and flat bottoms he decided to use a D20 Rockwheel hydraulic rotary rock grinding attachment. 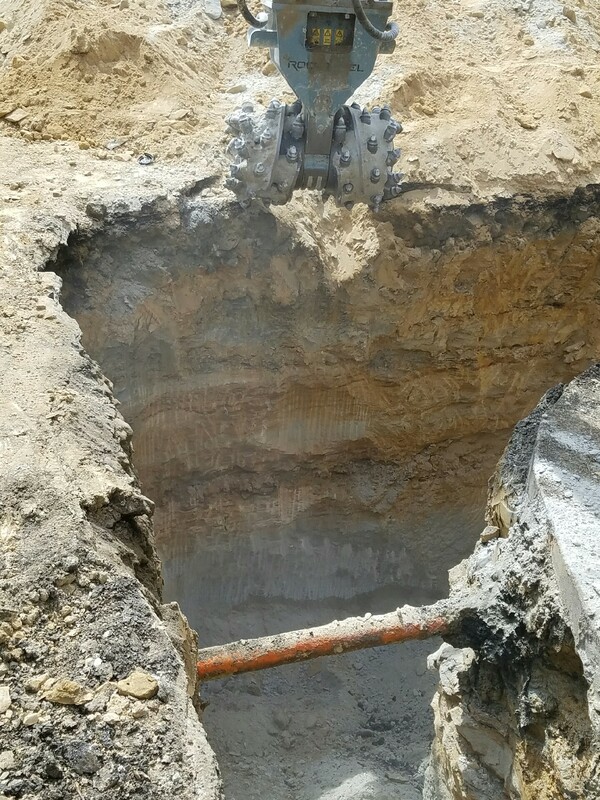 Installed on a 20-ton excavator the Rockwheel exceeded expectations in terms of productivity and finished product. In the photo below you can see the rock layers, smooth exact side walls, and a crossing utility line that was undisturbed. Could a hammer have done this job? Sure, but it would have been much less efficient and cost effective. Hammers will always have a place in the the excavation of rock but the current paradigm shift is raising awareness that there is a better option for a wide range of rock types. It's all about the right tool for the job and having a toolbox equipped with a range of options.